Believe it or not, Saturday was a beautiful day. 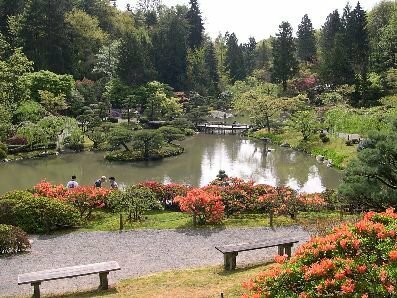 First, I went to the Japanese Garden at the Washington Park Arboretum. It is called Shoseiari - The Arbor of the Murmuring Pines. Just amazing. The pond is filled with huge koi, and there are lots of very chubby ducks wandering and swimming about. Unfortunately, the Sakura (cherry trees) were not yet in bloom - very strange, as virtually every other cherry tree in the greater Seattle area is already in full blossom. Go figure. 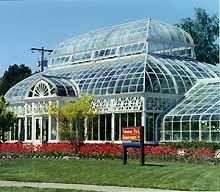 Next, I went to Volunteer Park and visited the conservatory. It was packed with people, but even in the cramped space it was impossible not to be awestruck by the plants. Especially the orchids - like creatures from another planet.